A field trip to the Eugene Science Center creates a fun and engaging experience for students while helping teachers to meet educational goals. Groups can choose to explore space through a Planetarium show, discover science in depth through a guided lab experience, or visit the Exhibit Hall for self-guided exploration. For more complete science discovery, schedule time for a combination of these activities. EDUCATION RESOURCES are available here to further support student learning experiences. 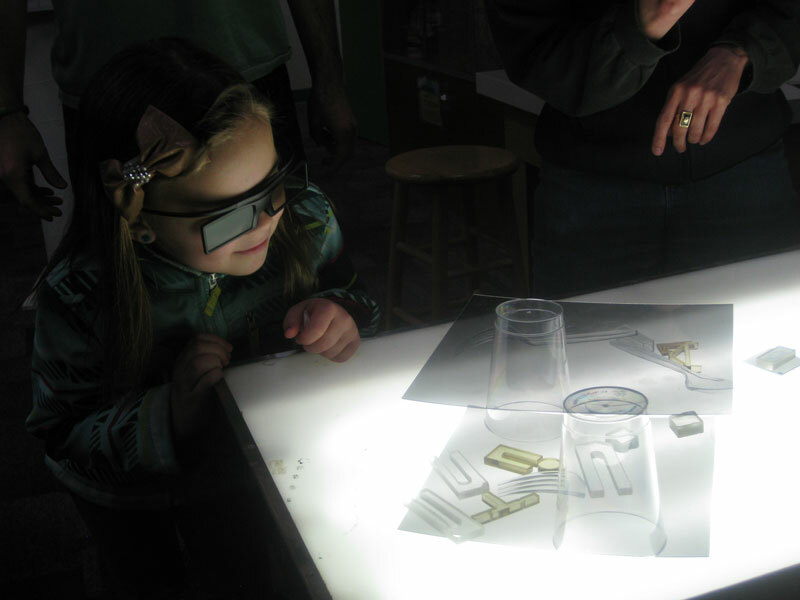 Self-guided exploration of our hands-on exhibits for up to 40 students at once. Exhibit Hall visits last between 45 and 60 minutes. See our current and upcoming exhibits. An immersive visual experience for up to 60 students (70 visitors total) at once. Showtimes vary between 15 and 50 minutes. See our selection of planetarium shows, including show lengths and age recommendations. A classroom program with hands-on activities led by a Eugene Science Center educator for up to 24 students at once. Enrichment Labs last between 45 and 60 minutes. See our complete list of Enrichment Labs. Fill out our online form to reserve your group visit. Available visit times are generally Tuesday through Friday, 9:15AM-4PM. We occasionally accommodate trips outside these hours; please inquire with Guest Relations. If you have further questions or have difficulty with our online form, please contact Guest Relations at 541-682-7895 or [email protected]. Our Guest Relations Staff will contact you to review your request. You will receive an e-mail from us when your trip is confirmed. Please contact us to find out if we have written or online educator guides available for the current exhibits or your planetarium show. We encourage you to review them prior to your visit. Teachers are also welcome to visit in person during our regular open hours to preview the exhibits free of charge! When you arrive, our staff will meet your group for a 10-minute orientation to prepare everyone for a fun-filled day of discovery! Be prepared with a headcount of both students and adults upon arrival. Teachers and adult chaperones are free for every 6 students attending. Additional adult chaperones pay admission at the student group rate. We offer field trip scholarships for schools that serve low-income students. You may request scholarship funding while booking your field trip online. The Eugene Science Center does not have an indoor lunch area for large groups. Covered outdoor seating near our front entrance is available on a first-come basis. We have a classrooms and a Community Room that can be reserved by smaller groups for an additional fee. See the registration form for details. Our Museum Store features learning toys and small novelty items. Students are allowed in the Museum Store only while accompanied by an adult. All store revenue supports ongoing Museum activities. We encourage your group’s patronage!